Step 1: Make the cleaning solution. 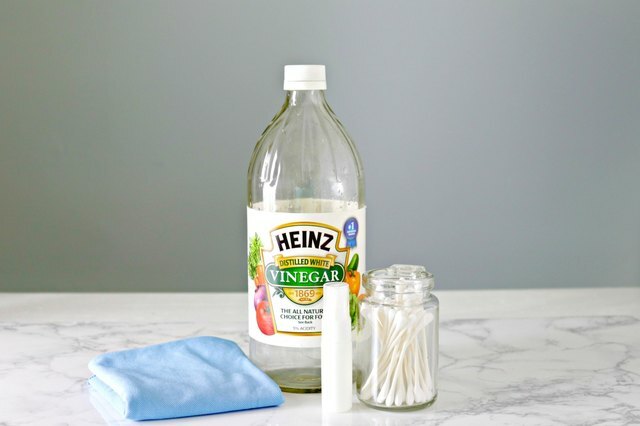 Mix one part distilled water with one part distilled white vinegar in a small spray bottle. Step 3: Clean the laptop shell. Wipe your laptop shell clean using the microfiber cloth with small amount of cleaning solution. Step 4: Gently clean your laptop's LCD screen. Do not apply pressure when cleaning your laptop's LCD screen, or you can damage the pixels in the screen. Step 5: Clean the edge of your screen and the laptop base. 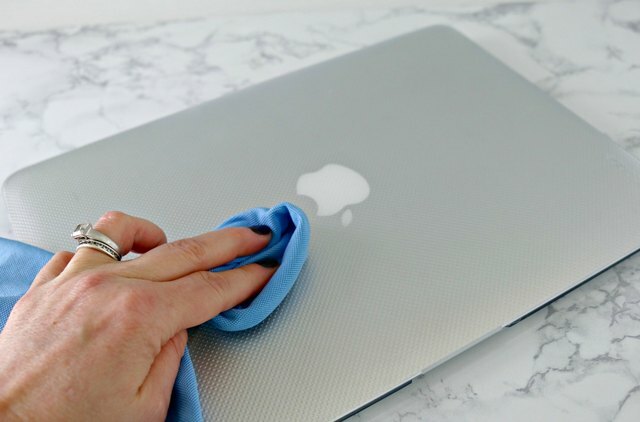 Spray your microfiber cloth lightly with your cleaning solution and clean the edge of your screen, the laptop base and your mouse track pad. Step 6: Clean your laptop's keys. Remove the lid from your cleaning solution and dip a cotton swab in the solution. 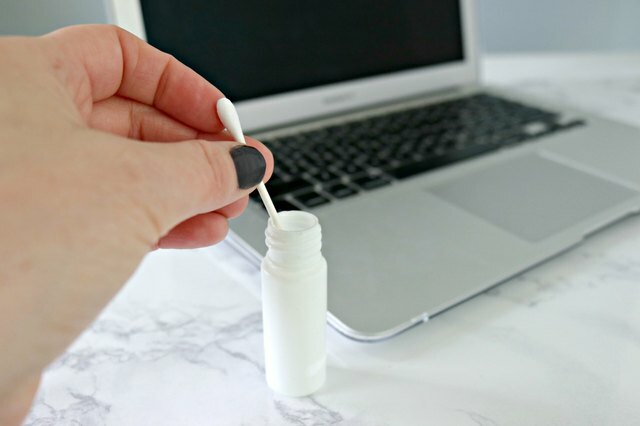 Gently tap the cotton swab on the side of the container to remove any excess cleaning solution. 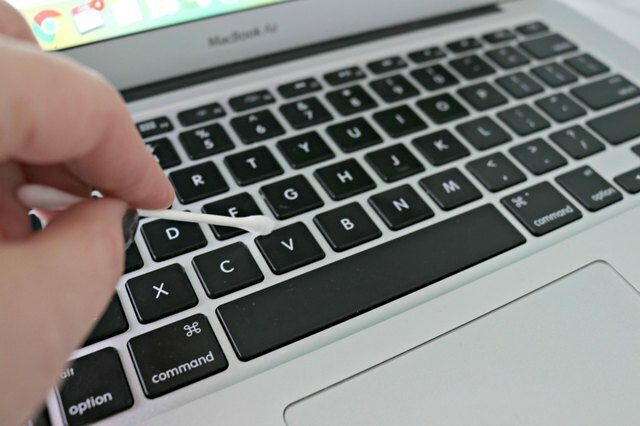 Take the damp cotton swab and gently clean in between and around the computer's keys.